Godspeed You! Black Emperor in Montreal or Quebec City? Inform me about the next events for Godspeed You! Black Emperor. Enroll yourself to our priority waiting list for Godspeed You! Black Emperor to be alerted when new tickets are available. Filling this form doesn't engage you to any purchase. 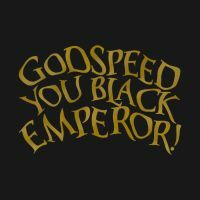 Mythic post-rock group Godspeed You! Black Emperor will be performing at the Metropolis, in Montreal, on January 18th and 19th, 2014. The Montreal band won the Polaris Music Prize last september, thanks to their incredible new record Allelujah! Don’t Bend! Ascend!, which was released in October of 2012. Don't miss your chance to experience the unique feeling of a Godspeed show, at the Metropolis this winter !